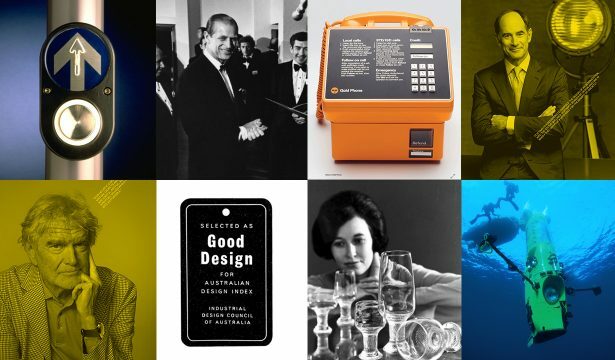 2018 has been an incredible year so far as we continue to celebrate 60 years since our founding organisation, the Industrial Design Council of Australia (IDCA) was established in 1958. 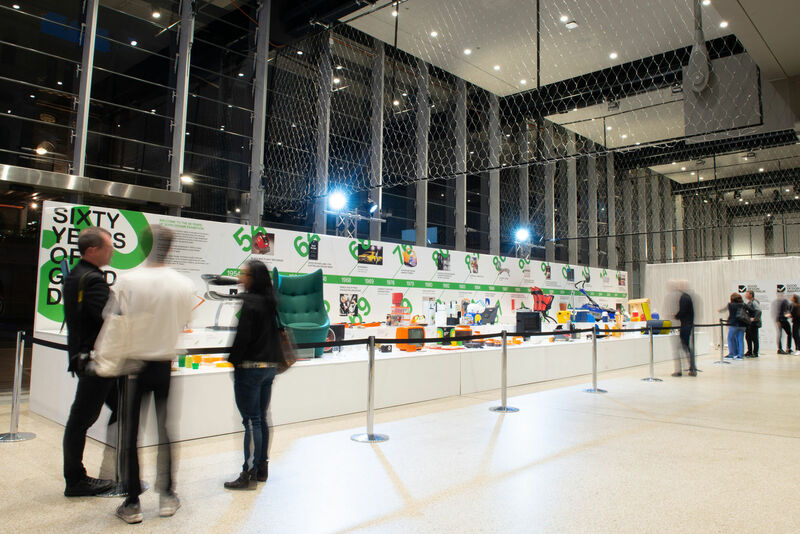 To help celebrate this significant milestone, Good Design Australia was fortunate enough to bring Frost* collective onboard as our Creative Partner. Their incredibly talented and diverse team of designers and strategists got to work in late 2017 and tackled every touchpoint across the organisation and our accompanying design events. 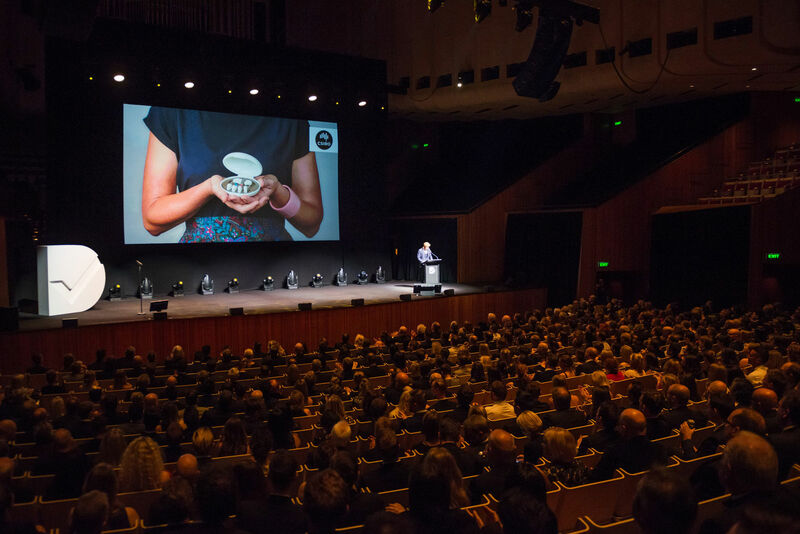 The end result is a beautifully refined brand identity, new website, 60th Anniversary Good Design Awards Yearbook, Good Design Showcase exhibition design and the production of a Good Design Awards Jury Video that was showcased at our special 60th Anniversary Good Design Awards Ceremony at the Sydney Opera House earlier in the year. 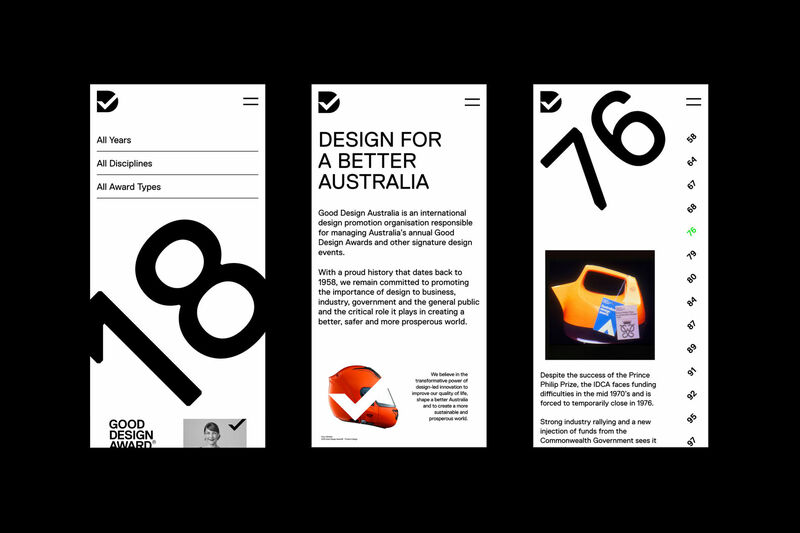 The brand identity refresh and campaign for Good Design Australia’s 60th Anniversary year focused on the positive impact good design has on our world. Frost* aligned our vision “Good design for a better Australia and a more prosperous world” and developed this into a highly recognisable “Good Design Tick” that is now our proud symbol of good design. To do this, they conceived the term, ‘60 Years of Good’, refreshed the original identity making the tick more prominent and introduced a modern colour palette. The tick and angle of the tick form key elements of the identity, with products being photographed at the same 45-degree angle of the tick. 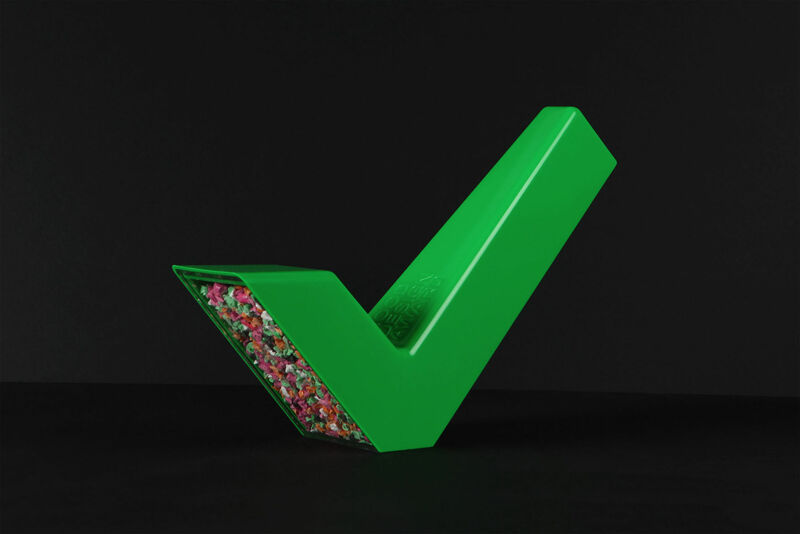 Made from ocean plastic harvested by the Good Design Award winning Seabin Project, Frost* helped conceive our new sustainably designed trophy which was then refined and produced by The Evolve Group. 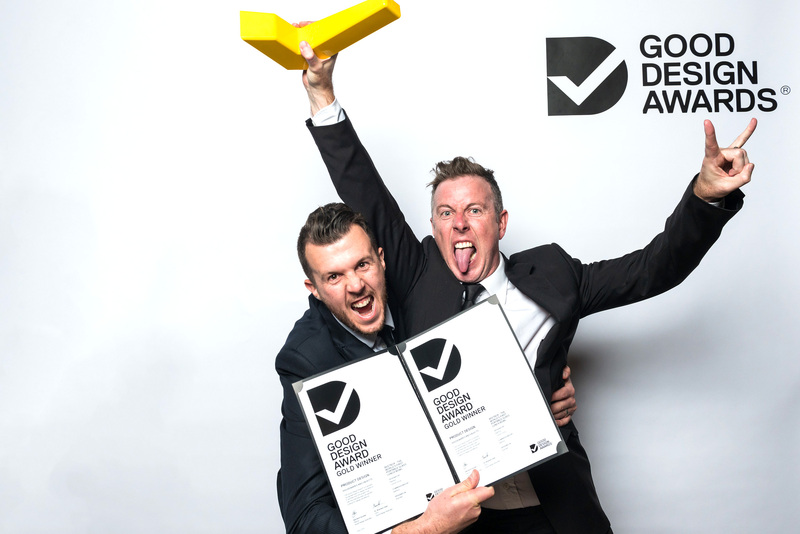 The Good Design Award ‘Tick’ Trophy now sits alongside other global design awards as a symbol of best practice in sustainable design. 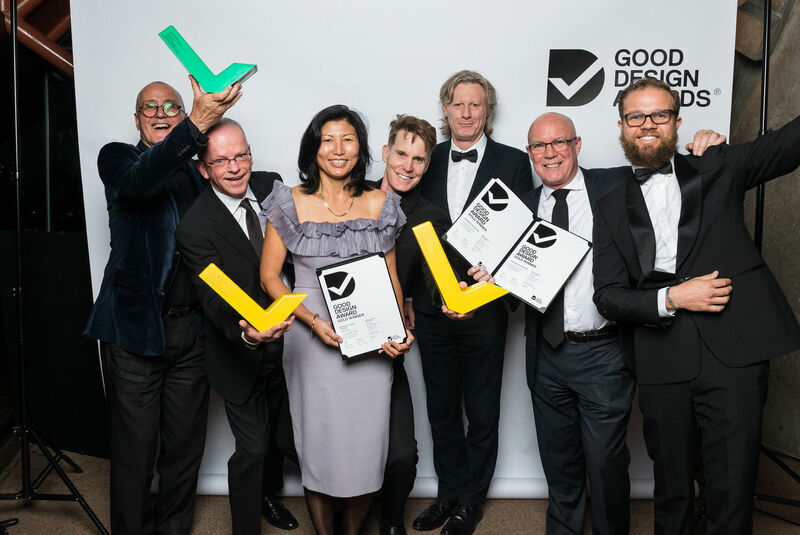 Tasked with filming the judging process for the Good Design Awards, Frost* created an inspiring video to capture a ‘behind the scenes’ look at the 2018 judging process at Fox Studios in Sydney. The end result was a beautiful video that we are extremely proud of. Nest, part of Frost*collective took on the job of re-designing our website and ensured the new brand structure had a strong online presence. 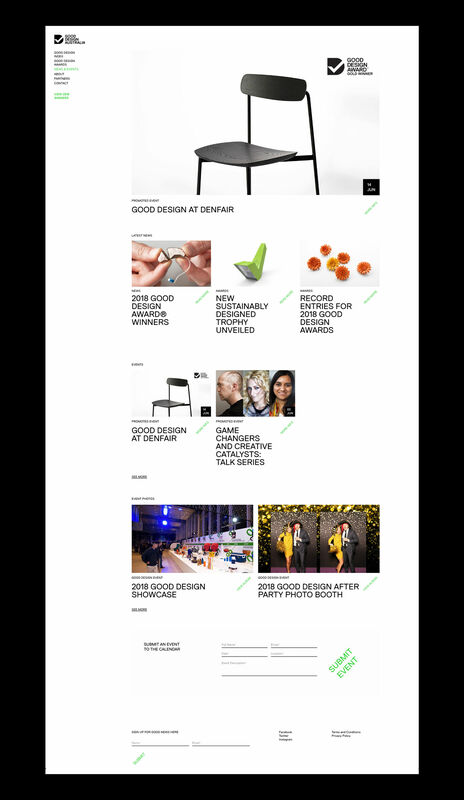 A significant part of the job was to create our new Good Design Index, a new online design catalogue that proudly showcases Good Design Award Winners across the 10 main design disciplines. The new design makes use of the 45-degree hero text and a new colour palette to help ensure the large volume of content is manageable underpinned by cleaner overall user experience. 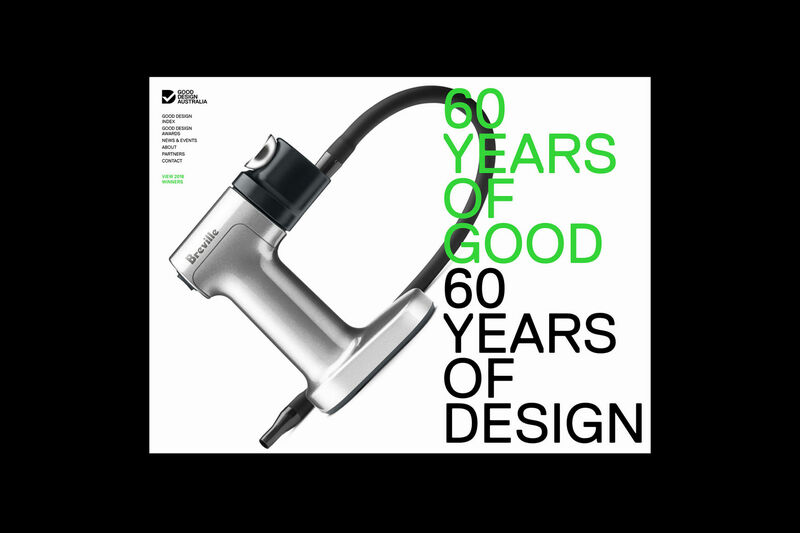 Since the Good Design Awards Ceremony earlier this year, Frost* has been busy designing a commemorative 60th Anniversary Good Design Awards Yearbook featuring a number of thought-provoking articles that explore the Past, Present and Future of Design in Australia and internationally. Working with Frost* collective has been an incredible experience and only reinforces the power of great design to transform an organisation for the better. 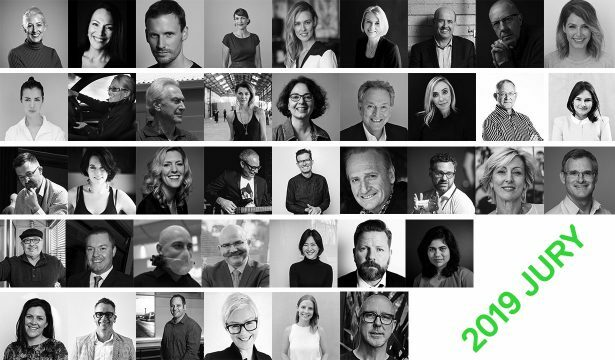 At the heart of Good Design Australia is our belief that investment in professional design leads to a better outcome – better for the customer, better for the business and ultimately, better for society and the environment at large. Frost* collective and their immensely talented team have proven this time and time again and we are eternally grateful for their support and look forward to working with them as our Creative Partner for many years to come. For a full overview of this project on Frost* collective’s website here.